For people with difficulty swallowing, every bite of food or sip of a drink can be perilous. These patients are in danger of choking on solid food or aspirating (inhaling) the liquids they consume, which could lead to pneumonia. The problem also has an impact on patients’ quality of life, as mealtimes become complicated and stressful. Liquids – even water – must be thickened to a consistency that is not as easily aspirated. Foods must be pureed, making them easier to swallow, but not very appetizing. Now, Visiting Nurse Association of Ohio is offering its patients access to technology that could improve their ability to swallow and, possibly, help them to eat and drink normally again. The agency is the first home care service in the region to offer its homebound patients access to VitalStim® therapy. VitalStim® uses electrodes to stimulate the outside of the patient’s neck to help strengthen the muscles that are involved in the swallowing function. 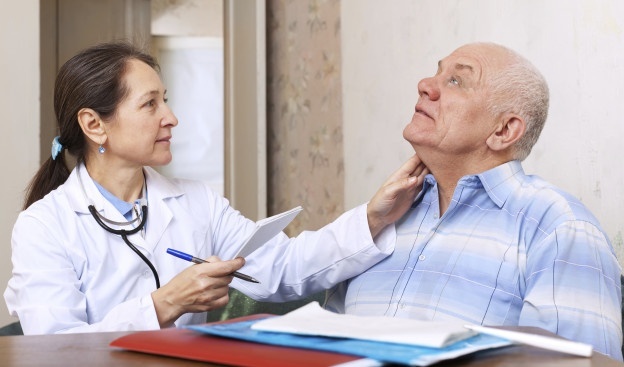 This type of therapy is considered an “adjunct modality,” which means a certified speech and language pathologist administers it in conjunction with other traditional approaches, including teaching the patient swallowing exercises and techniques. Patients are able to go from tube feeding – unable to take anything by mouth – back to a normal diet (using VitalStim therapy). VitalStim has been available for more than a decade to patients in hospitals, nursing homes and clinics. But, until now, homebound patients in Northeast Ohio were unable to benefit.